As of November, 9,844 tons of seafood was imported into Changsha. 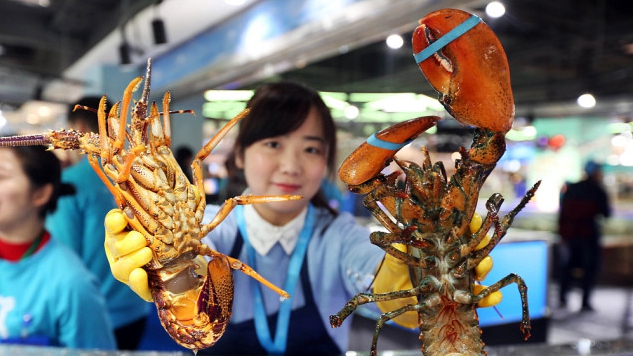 Every week, there are three charter flights between Changsha Huanghua International Airport and cities in North America that bring Boston lobster, fresh oysters, salmon, king crabs, and tuna across the Pacific Ocean bound for dinner tables in Central China, CGTN reports. The flights are part of efforts by the authorities in the city in Hunan province to grow trade links, reports the Changsha Evening News. As of November, 9,844 tons of seafood was imported into Changsha, double the amount brought in over the same time last year, according to local customs authorities. Five new international passenger routes and three international cargo routes have opened in Changsha this year. More international trading routes, including between Changsha and Amsterdam, Bangkok, Los Angeles, and Vancouver are also being planned by the city. The number of international passenger trips through Changsha has also seen a double-digit growth with the opening of more non-stop flights.